San Tan’s Mentoring Program provides support services that allow adults to be positive role models in the lives children, adolescents and young adults. What makes our Mentoring Program unique is that we can provide a mentor to work with adults as well, to model appropriate parenting skills and household management. Most of our Gila River Indian Community mentors are from Native American Communities and have a comprehensive understanding of the culture and complexity of Native American households. We strive to find and empower natural support systems by involving parents and siblings, extended family members, community members (with consent) and community programs to provide these services alongside mentors until the natural support system is ready to replace the mentor relationship with the client. Mentors work with clients to help them reach their treatment plan goals through activities, emotional support, and overall empowerment. 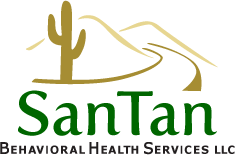 Another integral part of San Tan’s Mentoring Program is our peer support service, which is provided by individuals who have received behavioral health services themselves, or have a family member who has received the same. Peer Support Specialists are able to mentor individuals from a more personal place, sharing their stories of recovery in a motivational manner. These individuals are typically community members as well. They are able to calm the fears that individuals may have regarding professional services and connect them to community resources. Peer Support Specialists will go into homes and assist with life and social skill development, cleaning, organizing, parenting, and other tasks that might help a family decrease stress. When appropriate, Peer Support Specialists provide transportation to and from appointments or for family outings.